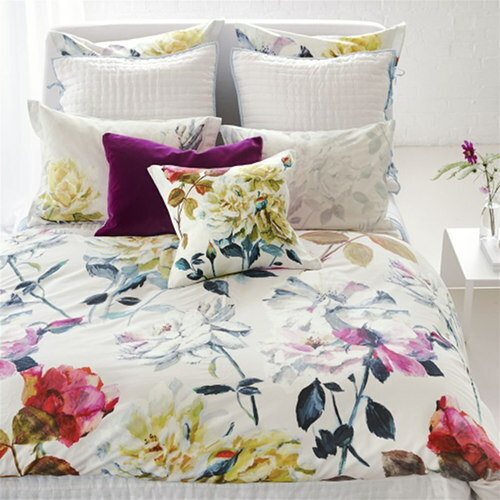 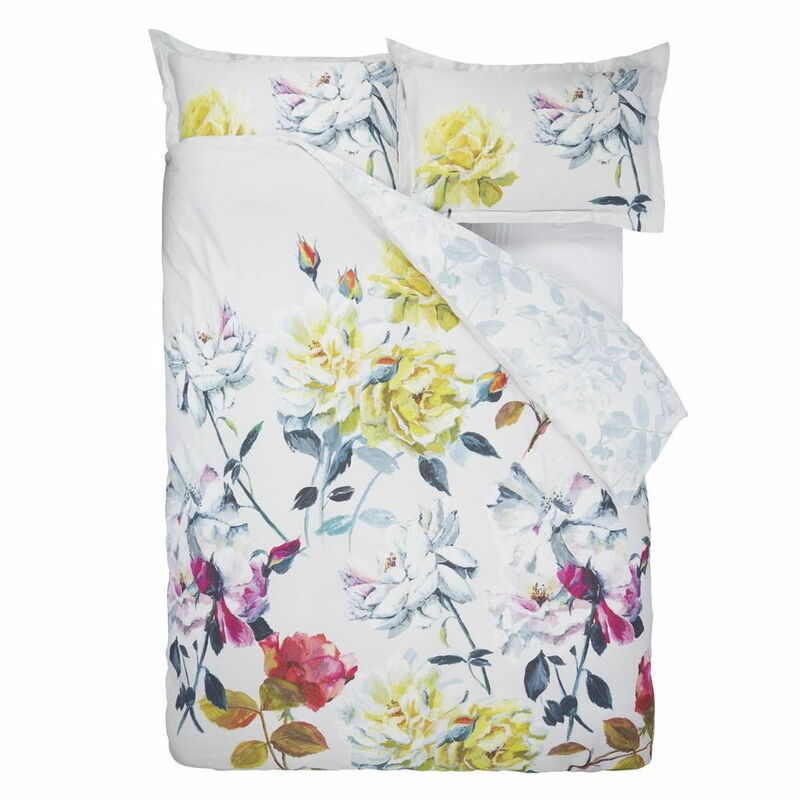 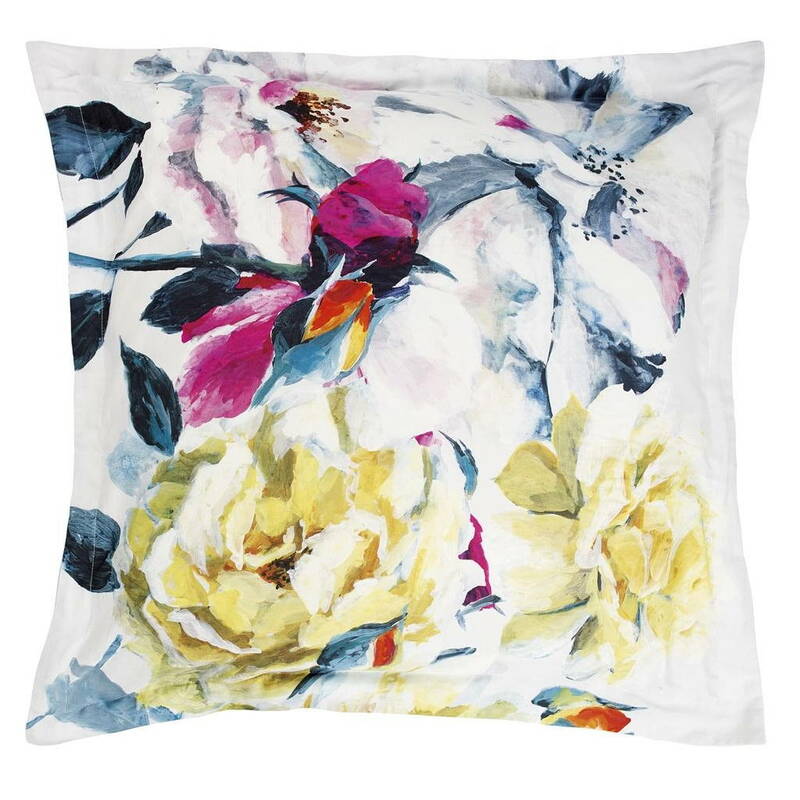 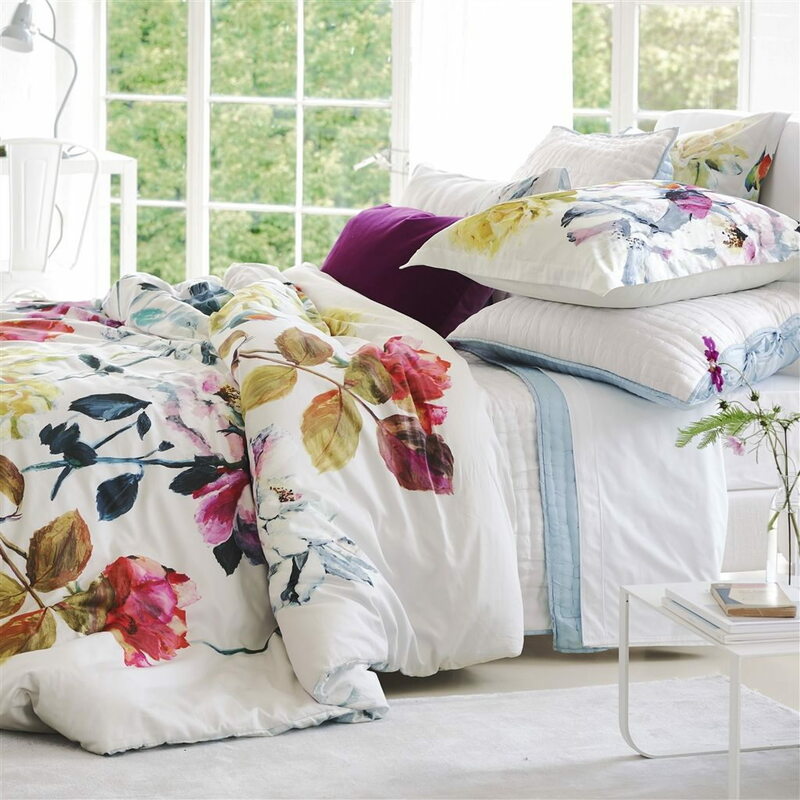 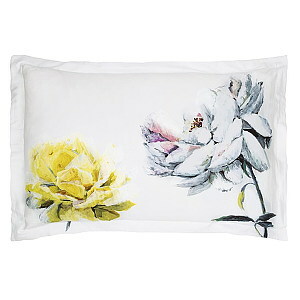 Designers Guild Couture Rose Fuchsia Bedding - Swatches may be available. Exquisite roses on a grand scale feature in this beautiful floral bedding design, with an elegant flowing layout and chalky texture ground. 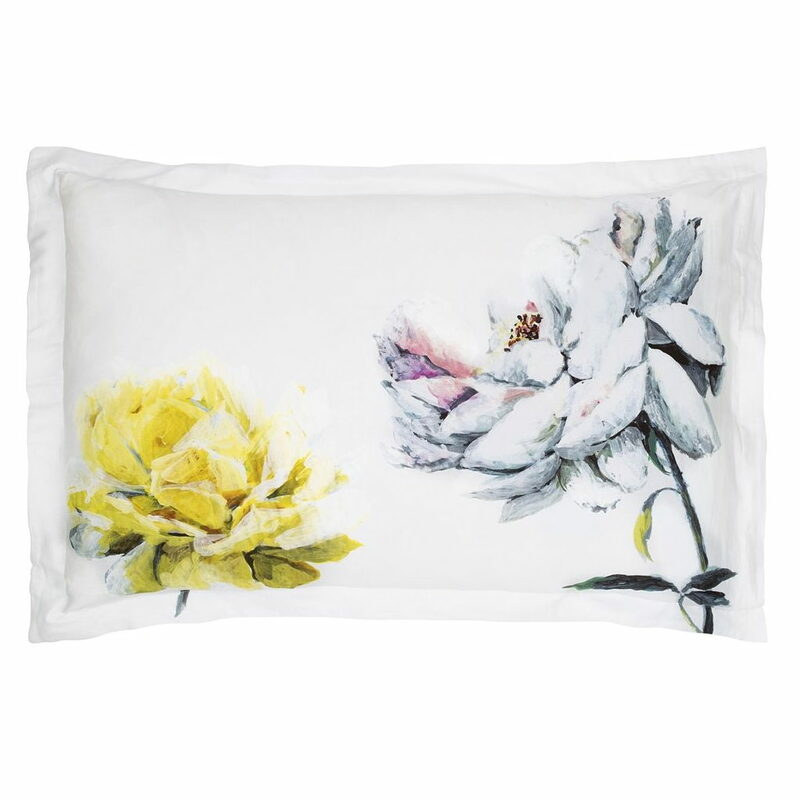 Digitally printed onto 300 thread count cotton sateen with an elegant soft grey floral reverse. 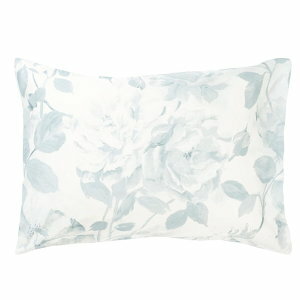 Reverses to a soft grey floral. 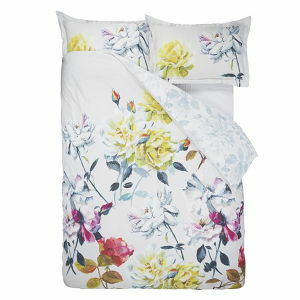 Standard cases are a soft grey floral (same as duvet reverse).